The “Herd effect” or bandwagon effect is one of the forms of groupthinking. It’s based on the popularization of the actions or objects, which have been chosen by the overwhelming majority of people. The result from the perspective of economics and marketing is the consumer demand increasing. The opinion of the majority subjects affects the decision of an individual. At the same time it ignores the personal information signals, preferring to follow the opinions and behavior of others. 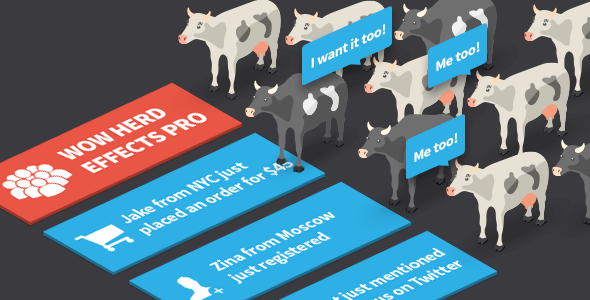 In marketing the herd effect is known as social proof. As research shows, the people are more willing to buy anything, previously approved by other users. It’s a kind of psychological pattern that does not allow a person to conduct an independent objective assessment of the situation. The person chooses the majority behavior model. Reviews of consumers. They cause an increased interest from buyers. The marks in social networks. Their quality and quantity are important. This is all kinds of reposts, “likes” and comments. Information proofs. Various product data, research of results, case studies. Product Reviews. Used to provide customers more information about the product. Demonstration of trust elements. Displays icons on the site, numbers, awards, customer logos and other. The opinion of the experts. Authoritative ratings and reviews from the experts. Opinion of the famous people. It allows you to create the effect of the prestige of the product. In practice, the vast majority of customers carefully study the ratings and the reviews of the desired product before making a deal. So, creating a deficit in the goods and showing the frequency of transactions will provoke the necessary actions of the customers. links to the resources in the social networks and more. This successful marketing tool is able to increase the conversion of the site. Reports of the activity of other visitors represent the interest to the proposed product, increase its value and help to raise the demand.